At Holistic Care Approach we care about the whole you, in mind, body and spirit. Since many of our preventative health and wellness programs and treatments plans involve nutrition and education, we seek out the best supplementation products, literature and naturopathic products you can find. Any of the high-quality essential oils or herbs used in your treatment can also be purchased at our facility. All of our supplements have been chosen to align with our services. 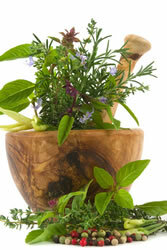 All are natural products for general wellness and detoxification. Eminence is a handmade organic skin care of Hungary. Eminence addresses a variety of skin concerns such as premature aging and wrinkling, sun damage, acne, loss of vitality, tone and radiance. The cures come from nature with ingredients that are good enough to eat. Let the aromas treat your senses and the ingredients impart health and beauty to your skin. According to the US National Institutes of Health, pain affects over 100 million Americans. Acute and chronic pain affects people of all ages, genders, lifestyles and ethnic origins…so there is great demand for safer and more effective pain relief products. After years of research and development, a major breakthrough in pain relief is now a reality! Click here for more information. HCA carries a wide variety and will special order. Source of legnans (plant substances with antioxidant properties and omega-3 fatty acids), protein, and fiber. Dr. Brownsteins Books on Arthritis, and Hormone Therapy. Lavender scented for stress and headaches. Genetic Potential through Nutrition. Nutraceuticals designed to enhance genetic expression and improve health. Sold by the bottle and used in massages at HCA. To experience the therapeutic effects of aroma therapy. Loose leaf herbal teas that are sugar-free, caffeine-free, and gluten-free. They are grown locally in Michigan and are USDA Certified & Fair Trade with herbal benefits.